Six Russian long-range bombers hit Daesh (known colloquially as ISIS) positions outside Deir ez-Zor destroying the terror network’s command centers, ammunition depots, and numerous tanks. 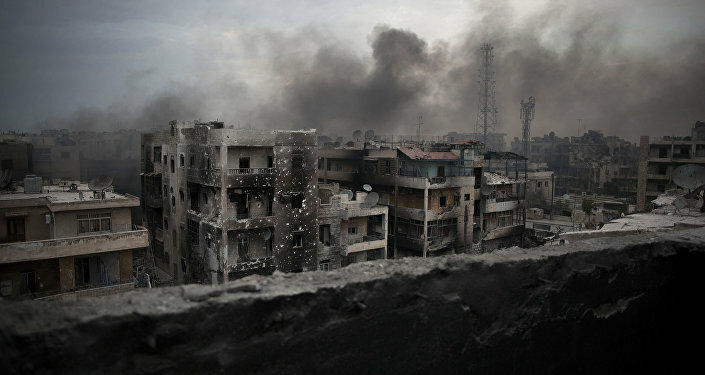 The terrorists suffered major casualties in the airstrike according to the Defense Ministry. 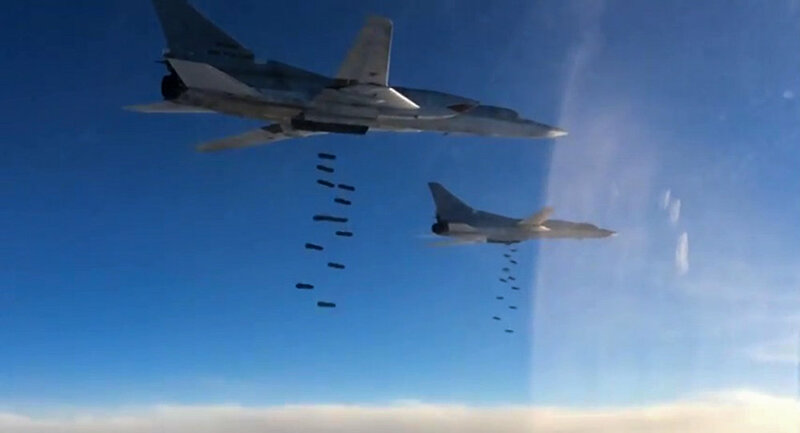 "[The bombers] which took off from a Russian air base have conducted a concentrated airstrike with high-explosive munitions on IS in areas located southwest, east, and northeast of the city of Deir ez-Zor," the ministry said in a statement on Sunday. The strike destroyed at least two of the jihadists’ command centers, six large ammunition depots, two tanks, four infantry fighting vehicles, seven SUVs with mounted machine guns, and also leveled major casualties against the terrorist enemy. ​Tu-22M3 bombers were covered by Su-30SM and Su-35S fighter jets operating from the Khmeimim air base with all of the warplanes returning safely without incident according to the defense ministry. Russia has intensified its bombing campaign against the terrorists in recent weeks striking the Daesh positions in Es Sukhne and Arak near Palymra earlier this week destroying a control center, underground weapons dump, infantry vehicles, and SUVs mounted with heavy machine guns. Those strikes similarly resulted in the deaths of a large number of enemy personnel. The ramp up in the Russian bombing campaign comes after Russia’s anti-Daesh operation in Syria was largely suspended in early March with President Vladimir Putin deciding the appropriate course at the time was to leave military assets in place to support the Syrian government forces fighting terrorist groups, but to disengage from the heat of the battle. With increased fighting activity by the terrorist organization, along with other opposition Jihadist groups, in recent weeks the Russian air effort appears to have gone back into full force. Moscow proposed to coordinate airstrikes with the United States with some negotiations on what cooperation would look like in early July, but the two sides have not formalized an arrangement.